Come join Up-Close Outfitters for their 2014 NC turkey season. 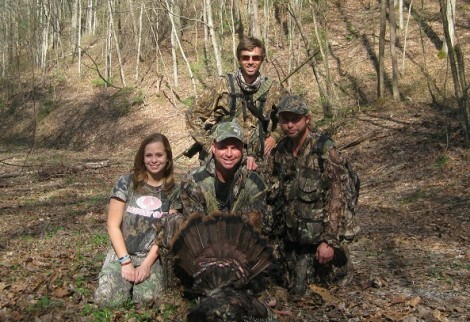 Experience a thrilling guided hunt in the BIG woods of the western North Carolinas mountains. Our full time team can ensure a hunting tour like none other deep in the National Forest near Asheville and Bryson City. Up-Close Outfitters offers full and 1/2 day hunts. Your party will have their own guide the entire day with meals and all equipment provided. “This trip offers a great learning opportunity for the beginner and advanced. We show the client how to locate, set-up, call, and shot placement for these cautious gobblers. ” , said Capt. Frank. The main season open on April 12 and runs till May 10th. We sill have some availability late April and May. Call today to book your adventure with Up-Close Outfitters !! !